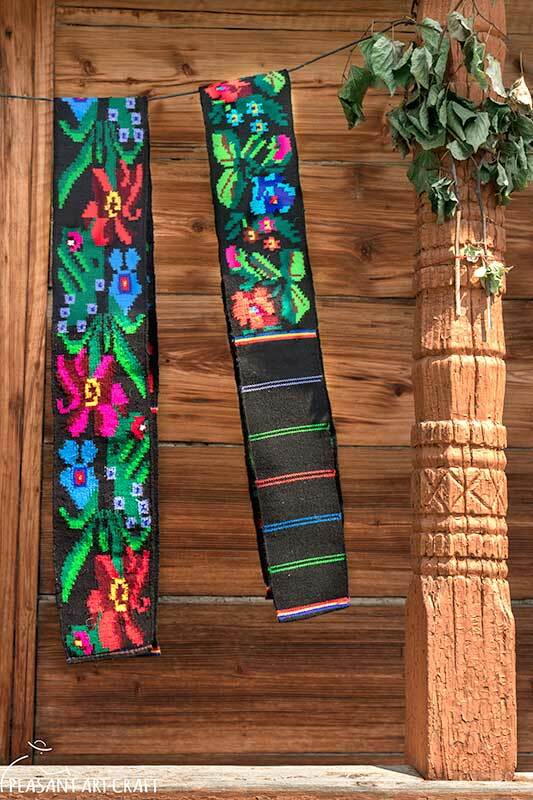 The famous Romanian traditional textiles are known to be the result of a hard work and some very special craft skills. These old occupations evoke the nostalgia of many people who remember to have seen someone dear, a mother, or a grandmother doing it. 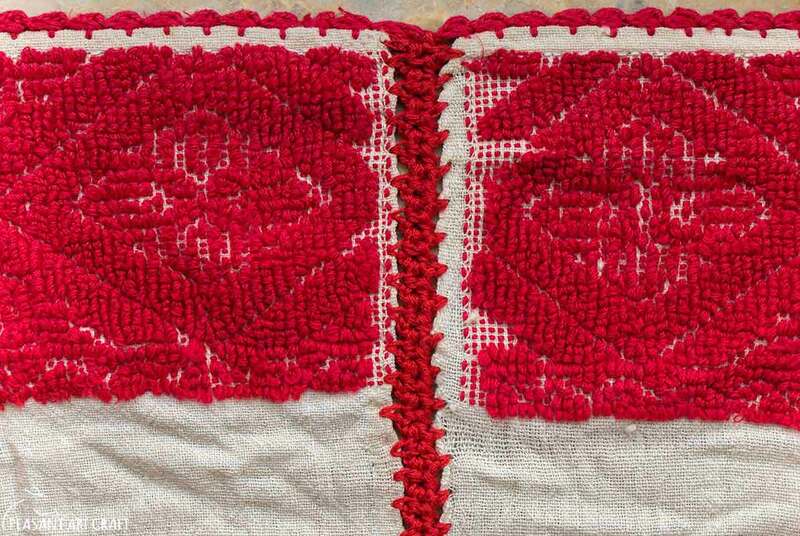 Before, when imported textiles were scarce, or too expensive, the craft of traditional textiles were the only source of clothing for many rural inhabitants. In the Romanian villages, women were trained into traditional fiber arts (weaving, hand spinning wool, hemp, cotton, flax) from an early age. Nowadays, the few keepers of ancient customs and traditions are old rural people. Having the same working methods of the past, the traditional artisans master the art of creating genuine materials. 87 year-old Magdalena Tofan is one of the few elders in her village, Iaslovăț, with a story to tell. Even if we’re not lacking socks today, she still crafts socks for herself, her children, grandchildren and grand grandchildren. Compared with the past, today’s abundance overwhelms her. “Before, we didn’t even have so much food and clothing”, she says, while spinning wool yarn for socks with a primitive spindle. She lived rough times for peasants, when they had to manually create their essential things for a living: wool spinning, weaving, embroidering, knitting. She tells her story while showing how to spin wool on a distaff. She didn’t give up the old ways. Hand spinning wool is harder than it looks like, but the old women know how to make things seem so easy. First, the wool must go through a series of preparatory processes, cleaning, combing, carding by hand or with a wool carding machine. • The wool is wrapped and tied on the distaff. • The distaff is held at the waist under your left arm – this might require some practice, until you get comfortable with the position. For starters, you can place the distaff in front of you, between your legs, or even drill a hole in the middle of a chair. Now the distaff is prepared and you are ready to spin some yarn, it’s that simple: with your left hand you pick and pull some wool fibers, deciding the thickness of the yarn. The fibers cling and stick to one another. First, you need to practice holding your spindle and making little wrist circles. You can also place the whorl on your foot, while spinning the shaft with your fingers, just like playing with a spinning top.